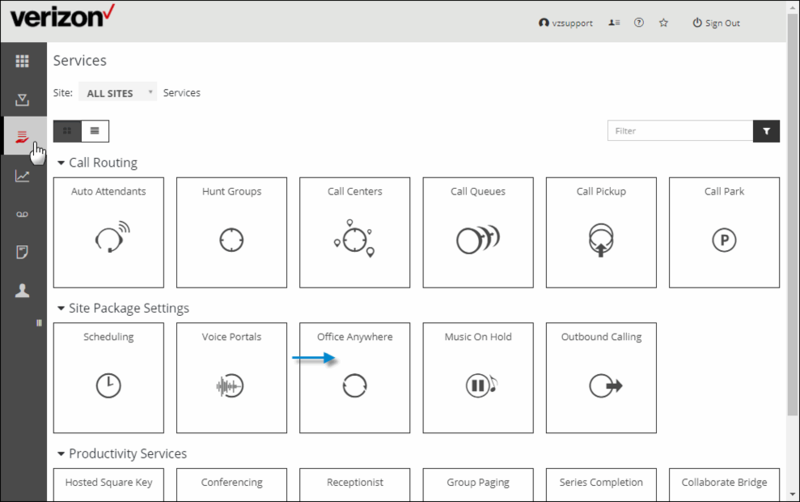 This article describes the Office Anywhere feature. 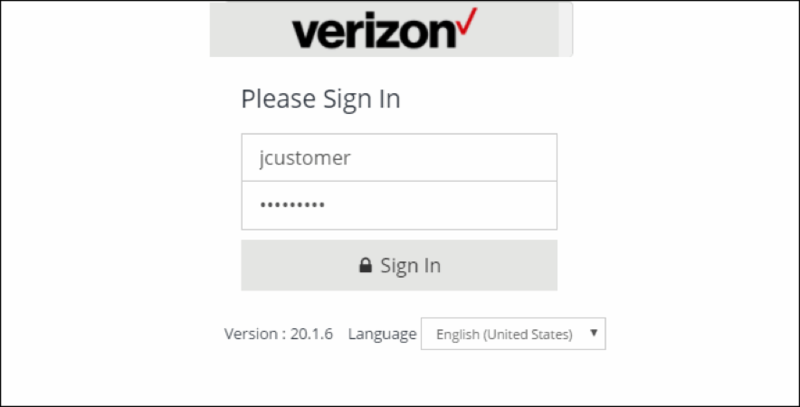 Users can manage the Office Anywhere feature on the My Phone dashboard: https://businessdigital.verizon.com/myphone/. Note: This feature is referred to as “Anywhere” on the My Phone dashboard. 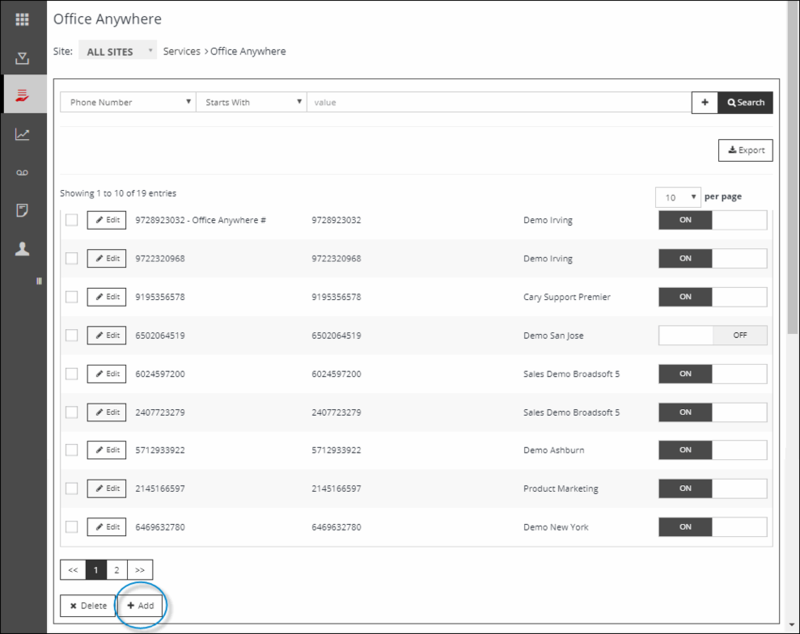 Once the designated Office Anywhere phone is set up, to place and receive Office Anywhere calls users must first dial the Office Anywhere number. 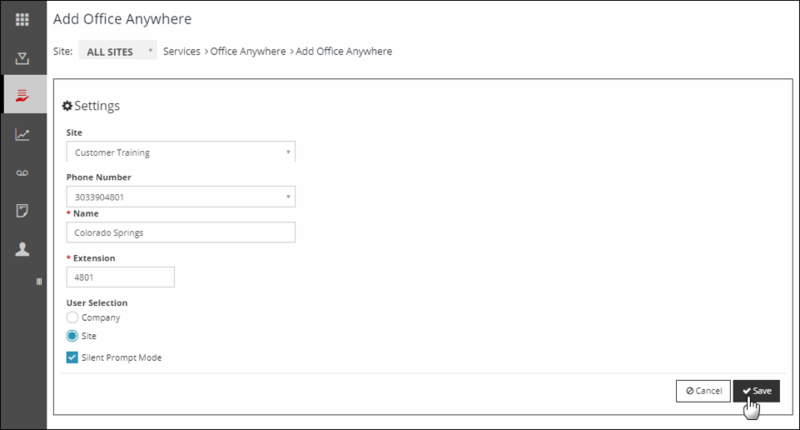 Administrators can change the Office Anywhere settings as needed. Click Sign In. The dashboard appears. Click (Services) on the menu on the left. Click Office Anywhere. The Office Anywhere screen appears. Click Add at the bottom of the screen to add Office Anywhere. The Add Office Anywhere screen appears.